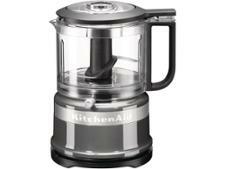 KitchenAid Mini Food Processor Silver 5KFC3516BCU food processor review - Which? If your kitchen is tiny, or this is your first foray into food processing, the KitchenAid 5KFC3516BCU Mini Food Processor might appeal. 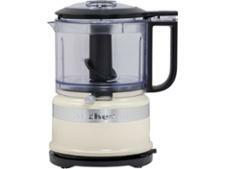 It's light, compact and simple to use, and it's not too expensive compared with a full-sized KitchenAid food processor. 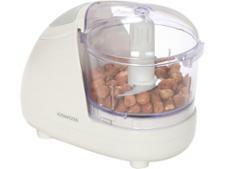 Will it make fast work of your food preparation tasks? Read our full review of this mini chopper to find out. Additional infoWe introduced new food processor tests in 2018. This model has been tested to the new test programme, so will not be directly comparable to those tested before this date.